It’s a new week, so I’m done playing the heroes from last week – Gazlowe, Nova, Stitches, Diablo, Kerrigan, and Tyrande. Gazlowe is a specialist hero that can collect scrap from destroyed structures that restores mana and reduces cooldowns, place turrets, shoot lasers, and more. He was fun even I wasn’t overly effective with him. His Deth Lazor ability was interesting because it charges. When you first hit the button to activate it, it begins to charge. The longer it charges, the more damage it does and the further its range. I was always tempted to let it charge fully, but I should learn to fire it off faster. I did significantly better with Nova than I do with most other heroes. In fact, I’d never stayed alive as long as when I used her. Whenever out of combat for two seconds, she cloaks, and she can also spawn a hologram decoy (and doing so doesn’t break her cloak). These abilities make it easier to hit and run. Moreover, it makes it fun to hit and run. I really wasn’t expecting to like her very much, but playing her was great. 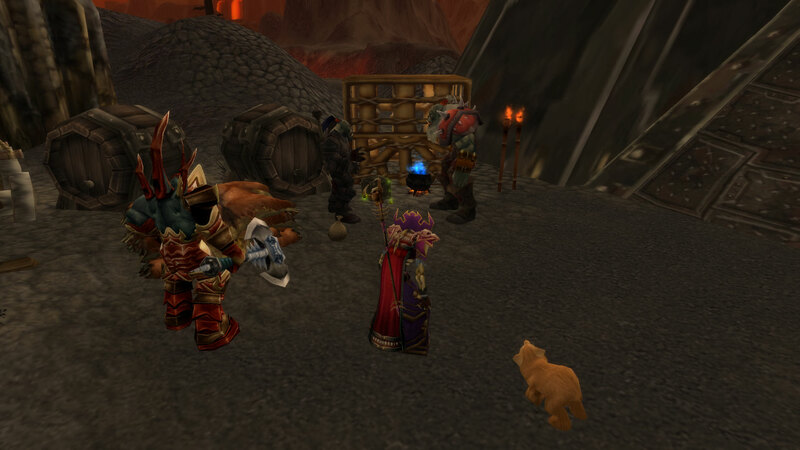 Stitches is a warrior abomination that can Gorge on enemies, consuming them and trapping them in his own stomach. Why would I need to say anything else about this hero? Kerrigan’s an assassin that seemed rather plain to me. She was okay while I used her, but nothing stands out about her in my mind. She can leap to enemies and pull them to her as well, which is always useful. I don’t think I’ll be playing her much more. The support hero Tyrande was the last hero I tried of the bunch. She can heal herself and others, send an owl across the map, revealing and damaging enemy heroes, damage and stun enemies in an area, and more. I liked her, but I think I like all the support heroes. It’s hard to pick one that clicks with me best. I have to admit, getting a pet owl is pretty cool. Last week I made sure to try all the free heroes again. It was a good bunch! 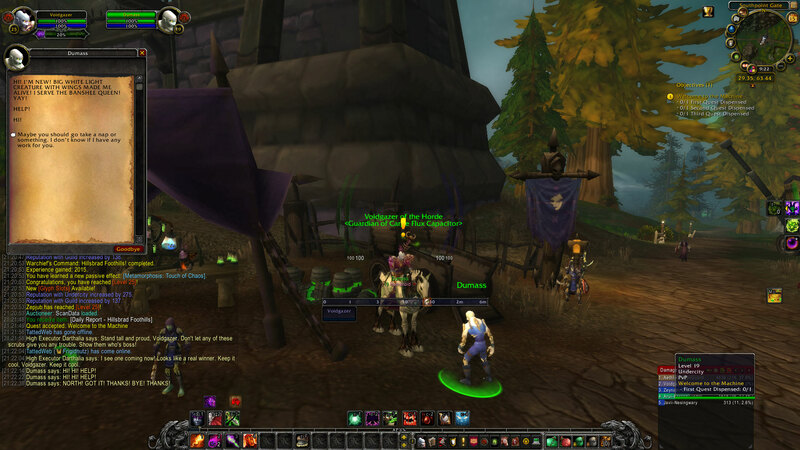 First, there was Falstad, a ranged assassin. I really liked him. 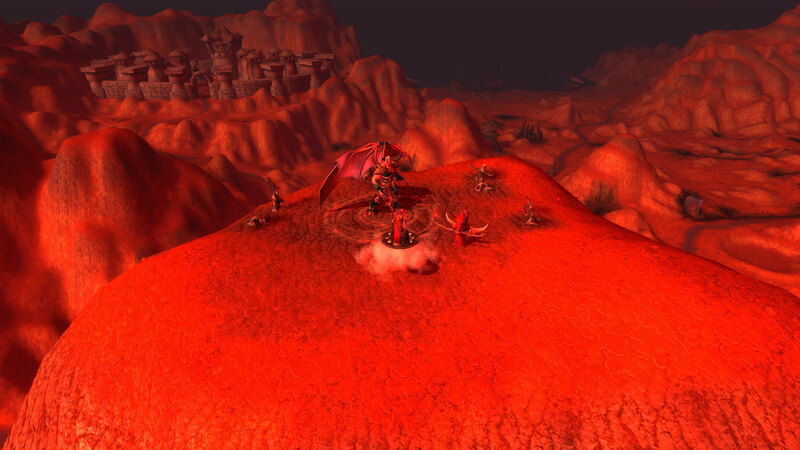 He’s always mounted, but periodically he can fly to any location on the map. Being able to jump straight to the action (or back to heal) is pretty a fantastic ability. He also has “Hammerang,” which throws his hammer like a boomerang. It’s almost like playing a hammerdin in D2. Nazeebo is a ranged specialist that was okay but didn’t particularly click with me. He summons spiders or toads to hurt enemies or can summon a zombie ring (called Zombie Wall for some reason) that both traps and attacks. Zombie Wall can be pretty great as long as it’s correctly aimed. Having a ring of zombies around nothing isn’t too helpful. Tassadar is ranged support that can shield, become invulnerable and invisible, and damage enemies in an area while slowing them as well. I enjoyed using him, but I didn’t care for him as much as some of the other healers I’ve tried. 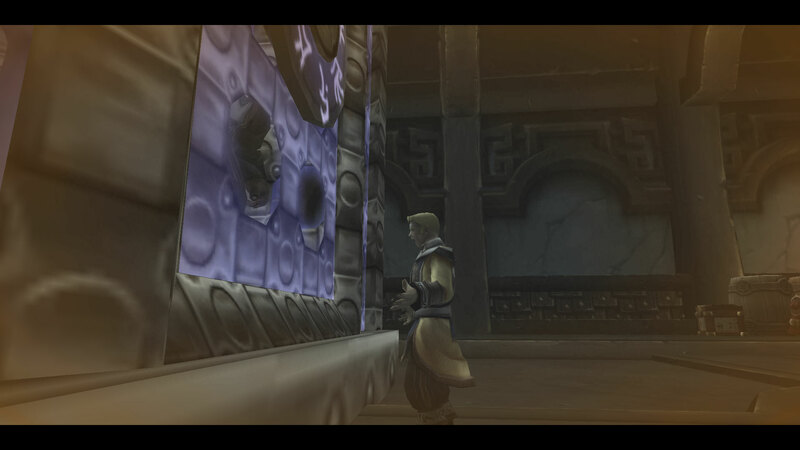 One of his heroic abilities was Force Wall, which creates a force field that blocks pathing. I wasn’t very effective with it. 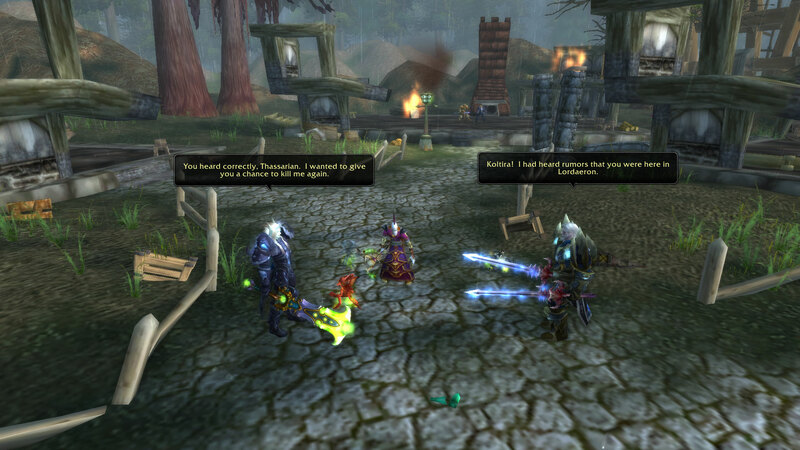 Arthas is a melee warrior and another one of those iconic characters I was excited to play originally. 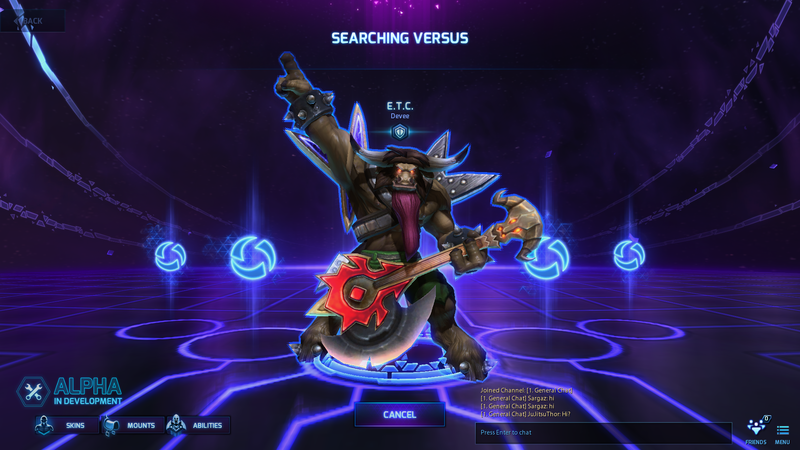 Given the trend with Heroes of the Storm, I was expecting to be terrible with him, but it wasn’t quite the case. He was probably the best warrior I’ve played. 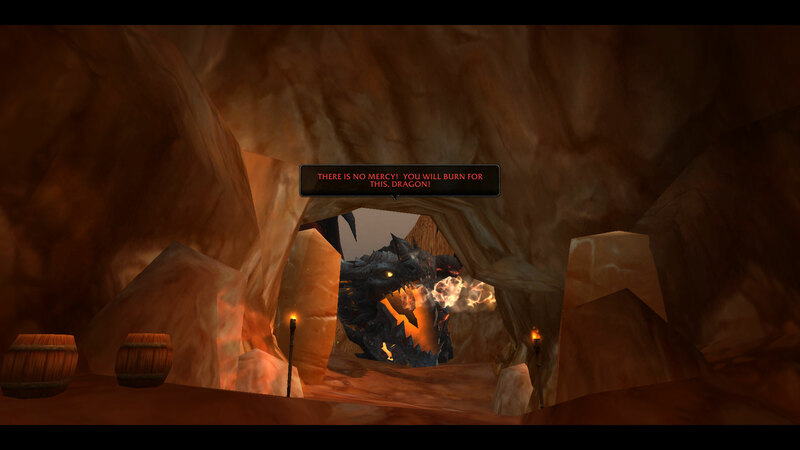 His heroic ability, Summon Sindragosa, is good but not as satisfying as it should have been. She didn’t even tell the mortals to suffer as their pathetic magic betrayed them. 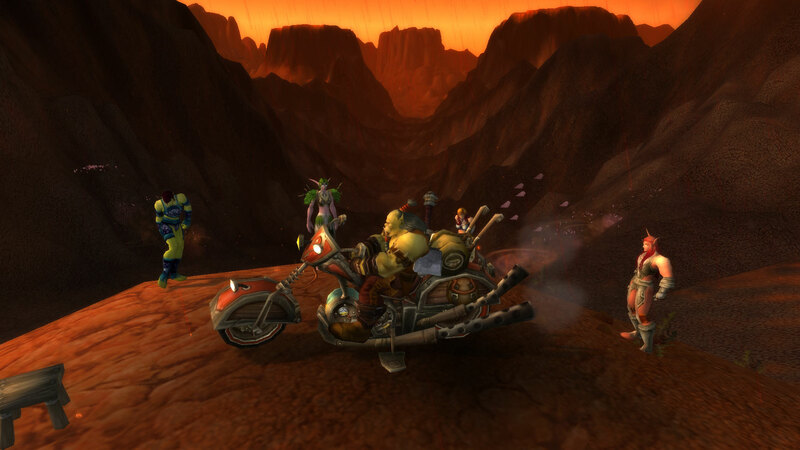 What the Twisting Nether? 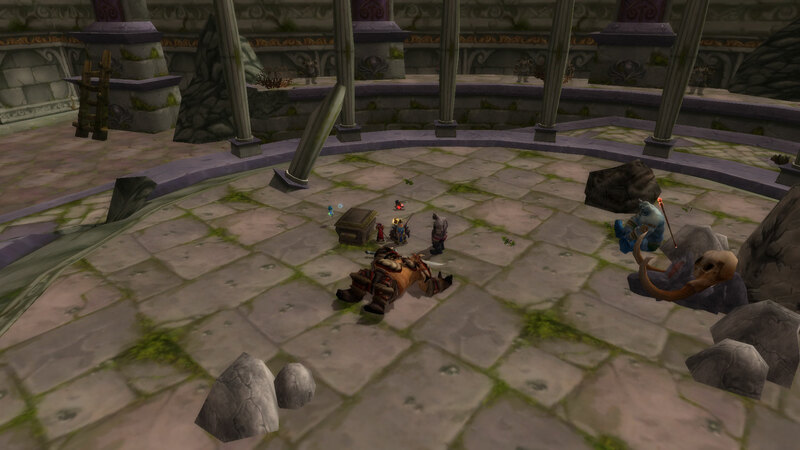 That was the worst part of all of Icecrown Citadel. 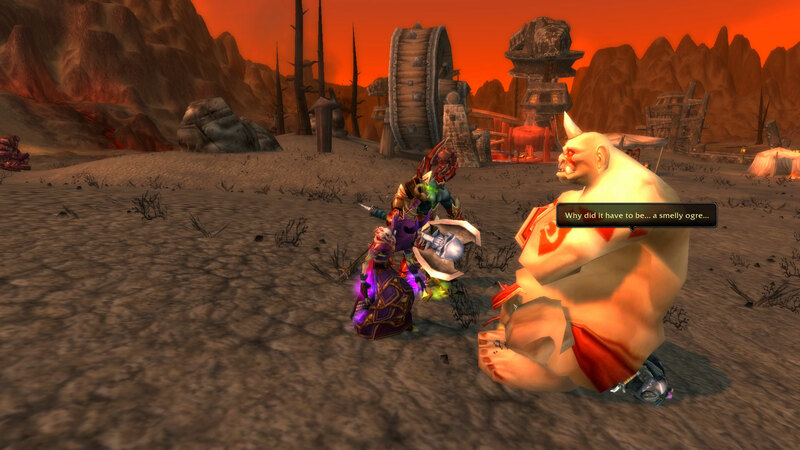 One dwarf just wasn’t enough, so Blizzard gave us Muradin, a melee warrior. 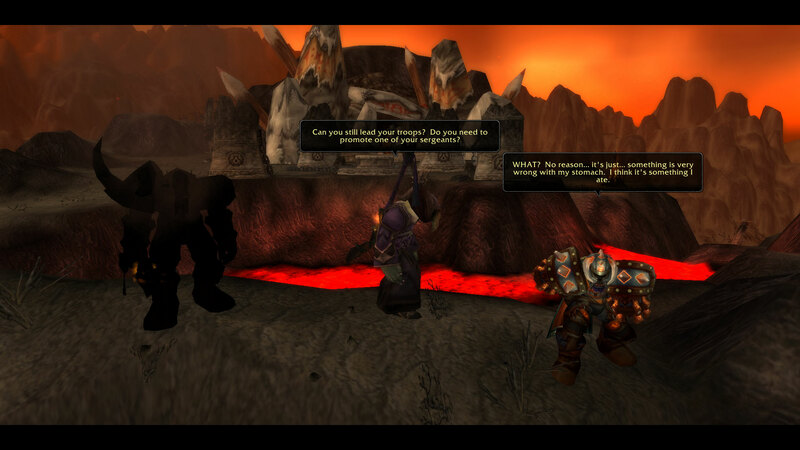 I didn’t like him as much as Arthas. 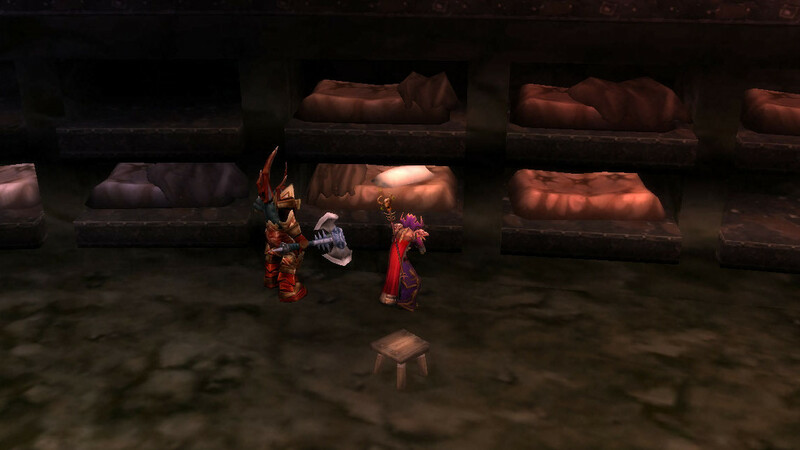 Like Falstad, Muradin can throw his hammer, but it’s different. He also has an ability that sounds fun called “Dwarf Toss,” but it’s really just a leap. His Haymaker heroic ability is pretty cool though, doing a lot of damage and knocking targets back. Lastly, there’s Zeratul, a melee assassin. He’s fast and can blink, but I didn’t care for him much at all. Five new heroes to play this week (because one of the six was Raynor, who is always free). First I played Tychus, an assassin. 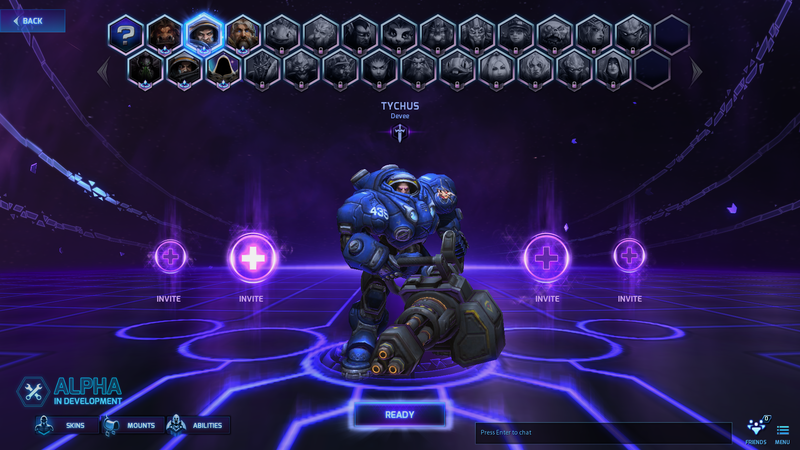 As someone who doesn’t play Starcraft, I’m pretty sure Tychus is just Raynor II. Okay, he doesn’t really play the same in Heroes of the Storm, but he certainly looks the same. He has to rev up his gun, making him a fairly slow hero. I wasn’t too fond of him. 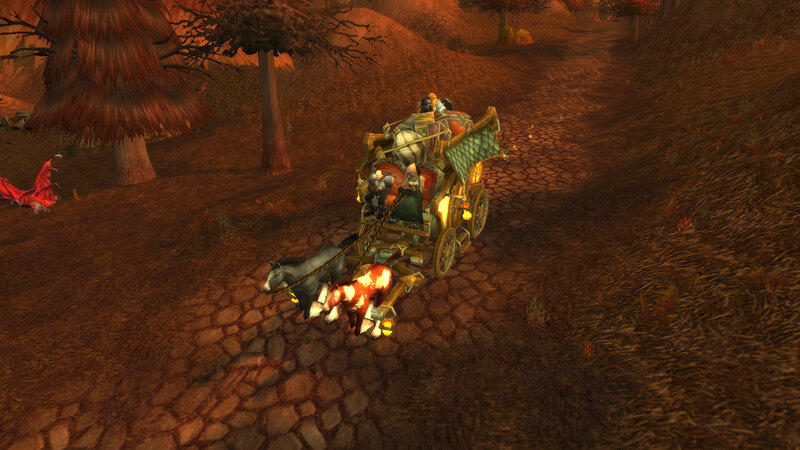 The Elite Tauren Chieftain, the warrior, is an awesome hero. Just look at him. 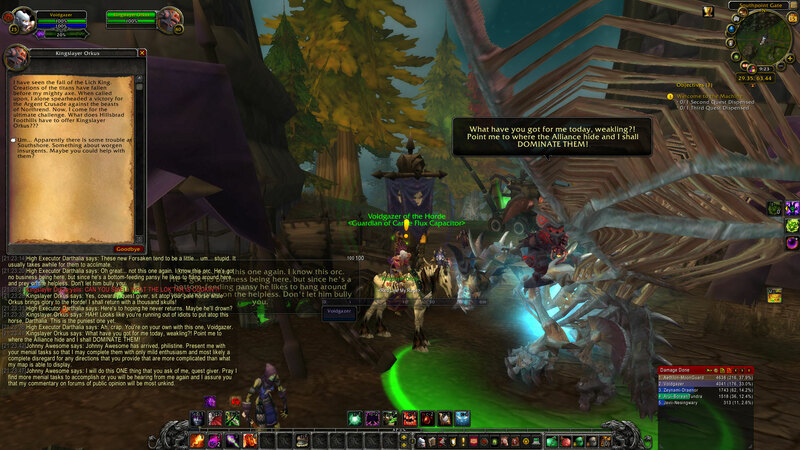 I’m pretty glad Blizzard chose to include him, because it’s definitely a fun idea. As for playing him, I wasn’t great at first. He has some good crowd control abilities, but he also appears to be tankier than he really is. I was pretty bad at him when I selected him, but I got better at him through Abathur (more on that later). 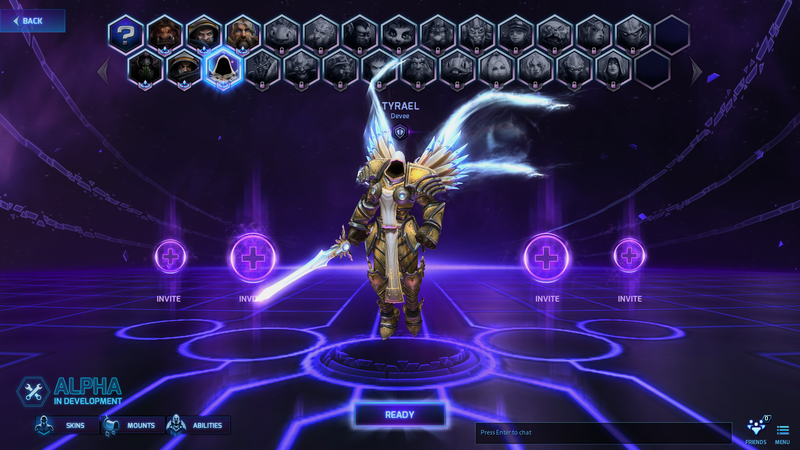 I was excited to play Tyrael, a warrior. He’s good at protecting other heroes, which I suppose makes sense given his role in the Diablo franchise. One of his abilities has him throw his sword, dealing damage where it lands. 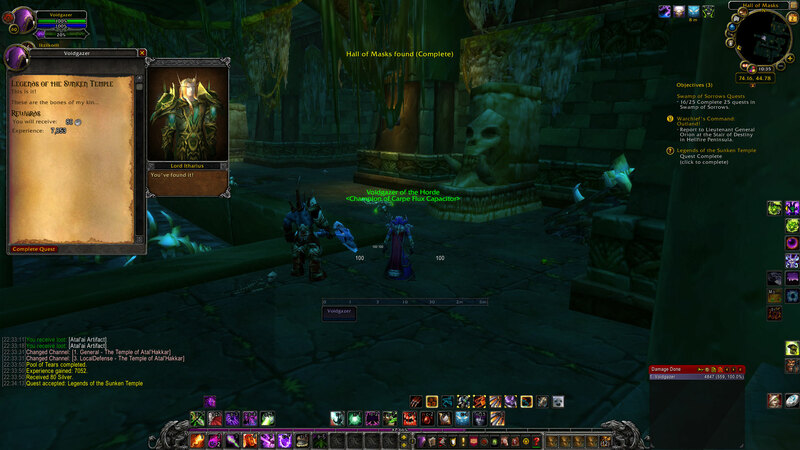 Tyrael can then teleport to the store. He wasn’t exactly my cup of tea, but I liked him nonetheless. 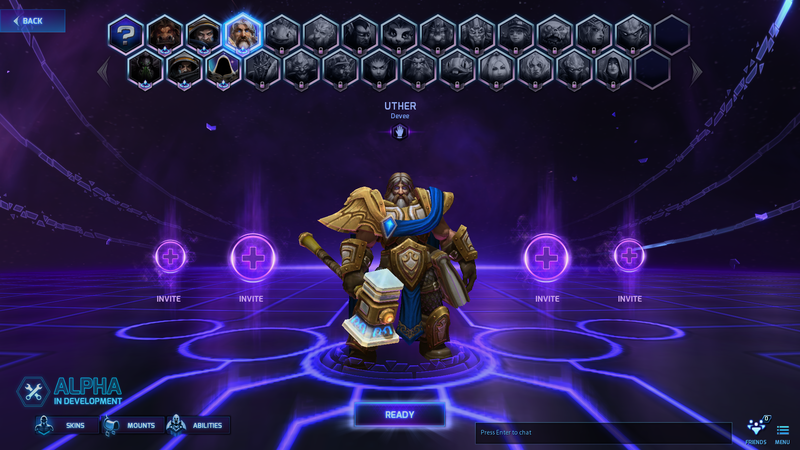 I liked Uther, a support hero, much more than I expected. Once again I find myself playing the healer. It’s really my role, isn’t it? He heals allies, has an ability that damages enemies and heals allies, stuns, and more. He might be a hero I need to purchase in the future. 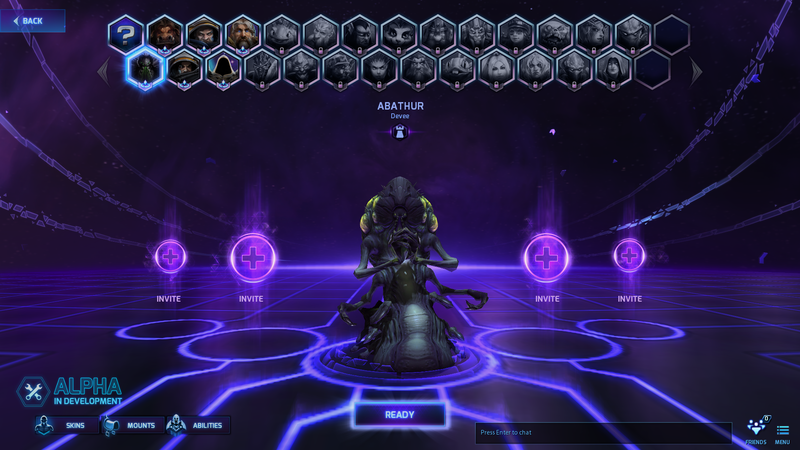 Abathur, a specialist, is the strangest hero I’ve played. He can send Locust down lanes and place Toxic Nests that explode when enemies contact them and help reveal the map. However, what makes him interesting is that he can place a symbiote in other heroes. 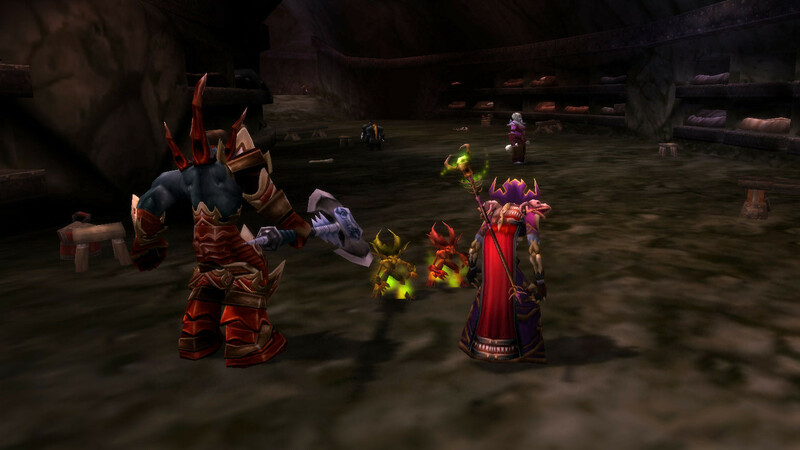 Once this is done, the camera follows that hero, and you’re given new abilities. From the hero with the symbiote, you can stab a target with a spike, shoot spikes out around the hero, or shield the hero. Most interestingly of all, Abathur is able to create a duplicate of an allied hero temporarily and controls it. Of course, that means that to be good at Abathur, you have to be good at every hero, but it’s really quite fun. I did really well with him (despite not being great at every hero), and I plan on practicing with him more. 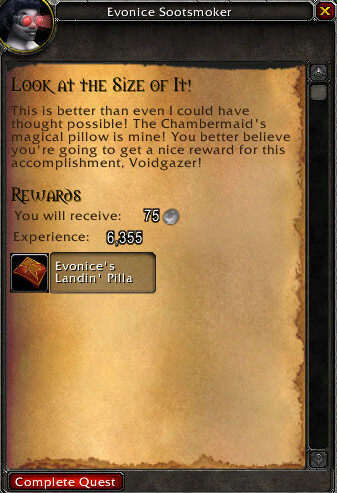 I came across this quest on my warlock, Voidgazer. It presents a great question. 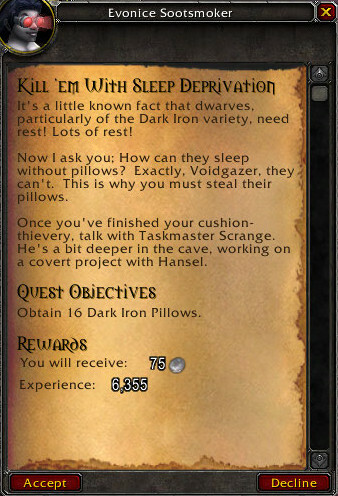 “How can [the Dark Iron] sleep without pillows?” Not very well, which is why I was tasked with stealing their pillows. 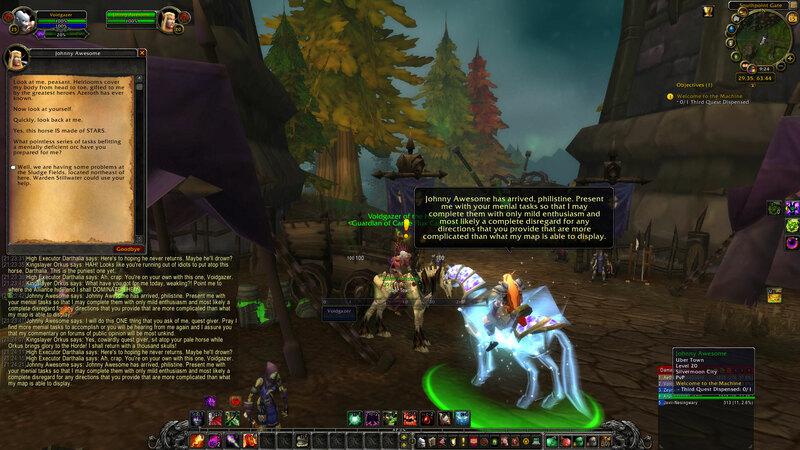 I was already in love with this quest just by reading this. I found their dormitory and went about stealing their pillows. They weren’t too happy with me, but I wouldn’t be happy with someone stealing my pillows either. 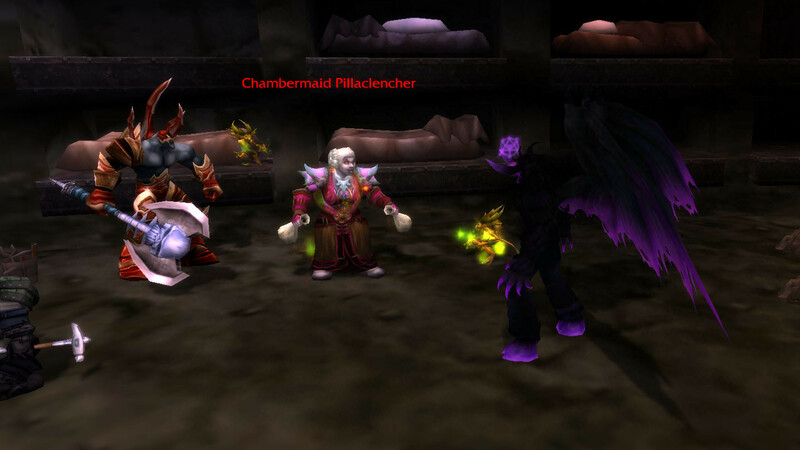 Twenty or so minutes later, I was deeper in their territory working towards another goal when Chambermaid Pillaclencher yelled, “Thieves! Scallywags! Rapscallions! Come face me gigantic pillas!” What kind of man would I be if I didn’t face a woman’s gigantic pillas? I saw her standing in the dormitory holding two, well, gigantic pillas… er, pillows. I don’t know how comfy they’d be given the fact that they don’t look very firm. She went crazy with her pillows, defending her right to nap peacefully with pillows. I defeated her, and where she fell, she dropped a huge, very comfortable looking pillow. I wanted to take a nap on it right then! I knew after retrieving it that Evonice Sootsmoker would probably like to see it, so I set off to return to her. Of course, she wanted it to herself. I don’t know what came over me. I should have kept it, because what could I want more than a gigantic pillow, big enough on which to fit my entire body? 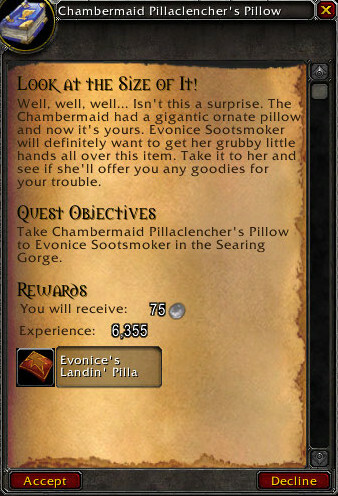 She gave me Evonice’s Landin’ Pilla, a trinket that reduces fall speed. Nice, but not a huge, comfortable pilla. That’s too bad, because with Chambermaid Pillaclencher’s Pillow, I could have been the King of Naps!